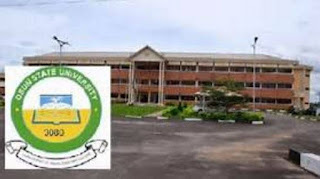 The Association of Staff Unions of Universities, a branch of the Osun State University, Osogbo has embarked on a warning strike effective from 12 midnight on Thursday, 27th September, 2018. This declaration was made by the branch chairperson, Dr. M. O. Abanikannda in an emergency congress held at the main campus of the university on Thursday, 27th September, 2017. The branch chairperson who is also the chairman of the Branch Strike Monitoring Committee (BSMC) emphasized that during the strike, the BSMC would move round the campuses of the university to ensure total compliance. While the strike is on, academic members of staff shall abstain from all official engagements, regular and part time teaching including statutory and other committee meetings.